Context. Will it ‘fit’ with downtown Lexington? Financing. Will it be built? Viability. If built, will it work? And CentrePointe has consistently failed across all three dimensions. It didn’t fit Lexington. It couldn’t be financed. And it wasn’t viable. As the project has changed trajectory in the past few months, it is worth re-examining these critiques. The first three iterations of CentrePointe were uninspired and uninspiring. The designs seemed devoid of place – as though they could be plopped down on any block in any random city – Nashville, Atlanta, Phoenix, Detroit. There was nothing about the designs which was particular to Lexington. The bland and imposing structures were also the architectural equivalents of bullies – crowding Main Street, unwelcoming to pedestrians, overshadowing nearby buildings, and oblivious to the surrounding fabric of downtown. 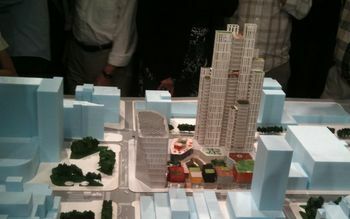 The heavy-handed designs seemed to mirror the developers’ if-you-don’t-like-it-well-that’s-just-too-damn-bad demeanor. Jeanne Gang presented her firm’s initial architectural concept for the CentrePointe block to a packed crowd at the Kentucky Theatre last week. Mass. 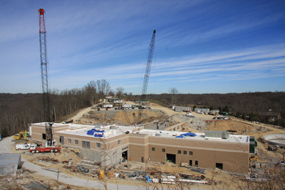 SGA departed from previous monolithic designs, and redistributed the mass of the project across the site. The new asymmetric distribution allows the design to accomplish a number of goals. Breaking the project into components also opens the possibility that the site might be developed in phases – perhaps as financing becomes available. Main Street. Along Main Street, SGA proposes having 6 distinct building designs which would mirror the varied designs across the street and which would also help maintain the organic, eclectic feeling of a typical Main Street. Inclusiveness. To help ensure distinct building designs along Main Street, SGA has selected five local architects to design 5 of the 6 buildings on that side of CentrePointe. Plays Nice. Unlike the earlier “bully” designs, this one seems to play nicely with the surrounding city. 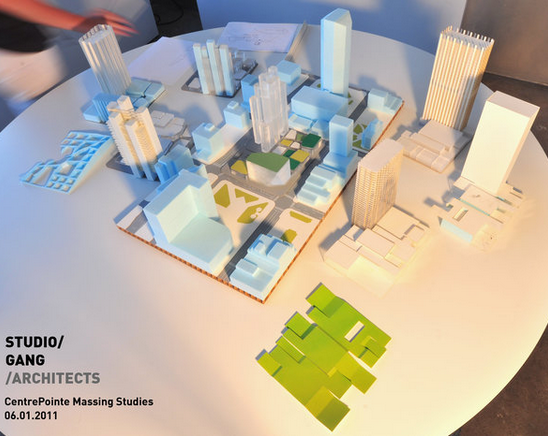 SGA used “shadow studies” to assess how the 30-story tower might throw shadows over nearby buildings. Those studies helped them decide to place the tower near the corner of Upper and Vine Streets, where the building would be less overpowering on the surrounding blocks. Circulation. This design also departs from earlier versions in that it promotes pedestrian circulation with the surrounding city and within the site, with ample open spaces and public areas. It is able to accommodate parking access for cars without significantly disrupting pedestrian access. Lexington. Studio Gang are trying to give the project local meaning – connecting it to our history, stories, and environment. And while I’m skeptical of the real utility of “the connected separateness of paddocks” or “the porosity of limestone” as sources of inspiration for the new design, SGA is the first CentrePointe architect who seems to realize that it will be built in a unique setting within our unique city. Studio Gang have crafted this particular design to this particular spot in Lexington, and the result is very encouraging. Lexington may finally have a signature project worthy of the center of our city. The changes in the nature of the CentrePointe project don’t alter the economic environment for getting the project funded. While now armed with a world-class architect and a world-class design, the developers are still faced with the enormous challenge of finding funding while the commercial real estate market remains in severe recession. Our central criticism of CentrePointe over the past few years has been its economic viability. We’ve spent a lot of time deconstructing the economics of CentrePointe, and whether it can ‘work’ as an economic entity. In short, the project wasn’t – and still isn’t – realistic. Each of the four components of the project (condominiums, hotel, retail, and office) demanded exceptionally high prices and required exceptionally high occupancy to be successful. The project also needed the infusion of Tax Increment Financing (TIF) from the state and city to help pay for ‘public’ improvements to the site (including sidewalks, parking garage, storm sewers, and other infrastructure). The city and state would issue TIF bonds (debt) to pay for today’s improvements, and would pay them back with interest by harvesting future tax revenues coming out of the CentrePointe site. And, as we have shown before, the CentrePointe TIF – based on incredibly optimistic assumptions – never pays back the city or state for their investment. In essence, TIF amounts to corporate welfare for the developers. And no knowledgeable bond analyst would ever recommend the CentrePointe TIF to his or her investors. It would never pay them back. Over the past three years, CentrePointe seemed like a lose-lose for Lexington: We lost if the project wasn’t built; we lost if it was built, too. CentrePointe was a bad idea. And it was badly executed. The new approach to designing CentrePointe is different: This new design incorporates so many great ideas, and it seems to function so well with downtown Lexington. Studio Gang has helped transform the threefold criticism of CentrePointe – It doesn’t fit Lexington; It can’t be financed; It isn’t viable – into a twofold critique. CentrePointe still can’t be financed. It still isn’t viable. While still deeply skeptical about the project’s economic viability (and its value for Lexington), we find ourselves pulling for this vision of the project – just a little. This CentrePointe seems like a good idea – maybe even a great one. And that’s the first time we can legitimately say that about CentrePointe. But great ideas are the easy part. Now, the community’s attention must turn to the hard part of CentrePointe: Execution. The transition to execution poses new challenges for the developers and for Studio Gang. How will the project find funding? Can they conceive a more realistic plan which pulls back from today’s more ambitious design? Can they make a 20-story tower work, for instance? Can they craft an economic model which doesn’t rely so heavily on TIF? Can they build smaller parts of the project today, and finance the rest when the economy improves? The future of downtown might rest on the answers. 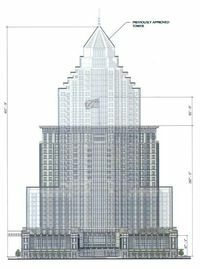 UPDATE 7/18/2011: Jeff Fugate has an excellent post on what the new design of CentrePointe accomplishes over at ProgressLex. In the wake of the scandal surrounding Angelou Economics and their “recycled” economic development plan for Lexington, there have been a number of calls for developing a more homegrown economic development strategy. 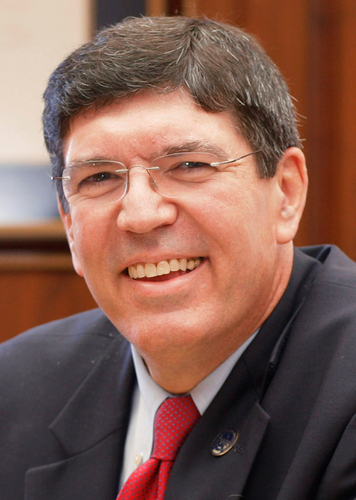 These include Tom Eblen’s thoughts on local knowledge and leadership, John Cirigliano’s project-based approach, and our own ideas about extending the work of the mayoral transition teams. In response to these calls for a more local economic development approach, I’ve noticed counter-memes emerging. One argument contends that we need consultants to fight insularity and to provide a valuable outside perspective. Another – in a particularly egregious defense of the indefensible – contends that this is what creative professionals do, and shame on those who called out Angelou – they destroyed a civic foundation of teamwork and trust. I think these arguments are mostly wrong, and that they mostly distract us from taking the reins of our own economic development. I’m pretty jaded when it comes to consultants. 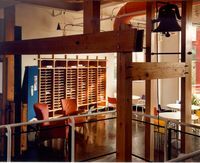 I’ve managed a wide range of consultants throughout my career: industrial designers, research agencies, brand consultants, business strategy consultants, operations consultants, and even internet consultants at the height of the dot-com bubble. Consultants position for the next engagement. The most successful consultants are always angling for their next big score. They deliver big, fat, visually-stunning reports loaded with aspirational recommendations which seem reasonable enough, but which neglect any significant detail on how to execute what they recommended. Because execution is something they would be glad to help you with, for an additional fee. They promise the ‘secret sauce’, but never actually provide the recipe. Consultants recycle. Relentlessly. Once a consultant comes up with a ‘big idea’, they don’t usually isolate it to a single client. They leverage that idea over and over again, across their business. They might customize or repackage their big idea for each client, or they might just make it a signature ‘product’ which they patent or trademark. About eighteen months after we rejected an industrial design, for example, we’d see elements of that design pop up in another client’s products. Many of the presentations and reports we got from consultants were 70% to 90% ‘boilerplate’ – stuff which could have been used for any of their clients in any industry. Not every consultant follows these patterns, but enough do that these behaviors are fairly predictable. If consultants are so predictable, why do so many people work with them? There are a couple of unfortunate reasons. First, consultants can provide a kind of political cover for difficult decisions: “I’m not recommending layoffs, the consultant is…” Their ‘independence’ and ‘objectivity’ make the consultants’ recommendations seem to carry more weight than when those same recommendations come from the people who hired them. Second, and often related, is that consultants help us look busy when we’re tackling a difficult problem. They signal to others that we’re taking action: “Our consultant is looking into that.” In these cases, the appearance of action seems more important than the production of results. Consultants can, indeed, provide a valuable outside perspective. Often, they’ve seen a lot of diverse examples of smart stuff that others are doing, and they bring those best practices to their clients. But consulting engagements perform best when consultants augment and enrich the client’s work – when the clients have already done their homework; They fail when the client abdicates their work to the consultant. Given my jaded perspective on consultants, I wasn’t too surprised when Ben Self exposed the Madlibs-style, fill-in-the-blank consulting work done by Angelou Economics in their “Advance Lexington” strategy for economic development. Angelou fit a lot of the consultant patterns. They recycled reports they had created for other cities. They played “follow the leader”, holding out their work in successful cities like Austin and Boulder with the implicit promise that Lexington could be like them. The problem for Lexington is that we attempted to have the consultant do our work for us without doing our own homework first. We can’t expect to get great economic results when we outsource our economic development strategy to others. We had folks whose job it was to produce such a strategy. They just didn’t. They abdicated their responsibility to a consultant. And that’s not acceptable. The important question: Why didn’t Lexington already have a strategy for economic development before we engaged Angelou? In December, I was honored when Lexington Mayor-elect Jim Gray asked me to join one of his economic development transition teams. In preparation for our first meeting, we were given a packet which described the state of economic development in Lexington. As I reviewed those materials, I noticed several references to “the” strategic plan for Lexington’s economic development; Yet that strategic plan wasn’t part of our materials. I scanned the city government website for the strategic plan, and came up empty. At our first meeting, I mentioned that we needed to get our hands on that strategic plan. But Lexington didn’t actually have a strategic plan for economic development. Despite having a Mayor’s Office of Economic Development and a staff of economic development folks at Commerce Lexington, we hadn’t developed a comprehensive approach to Lexington’s development. Instead, the city and Commerce Lexington co-sponsored a $150,000 engagement with Angelou Economics, an Austin-based economic development consultancy. The final Angelou deliverable would include an economic development strategy for Lexington. I was stunned. Not only did we not have a coherent economic development strategy, but we had seemingly outsourced the formulation of that strategy to an out-of-town consultant! Angelou released a draft of Lexington’s economic development strategy last week. In the process, they unleashed a torrent of criticism after Ben Self showed that Angelou essentially recycled reports they had provided to other cities, often copying entire paragraphs and even pages. The recommendations that Angelou makes aren’t bad. They recommend creating a better support network for entrepreneurs. They recommend setting up a minority business accelerator. They recommend setting up a comprehensive marketing plan for Lexington to help recruit new businesses. The trouble with Angelou’s report (as might be expected after Ben’s analysis) is that “Lexington” is missing. Much of what makes Lexington special and unique – our history, our geography, and our culture – is largely absent from the Angelou strategy. There’s no significant mention of downtown. Of the Distillery District. Of our neighborhoods. Of our unique individuals and personalities. Of our history. There’s only a passing mention of our horse farms and our rural landscape. There’s no mention of the World Equestrian Games. As a result, Angelou fails to identify what gives Lexington a competitive advantage in the global competition for businesses, jobs, and talent. So while the recommendations aren’t bad, they just ring hollow. They are bland and generic. They don’t feel special to Lexington. When Angelou recommends focusing on “Clean Technology”, for instance, that sounds like a good idea. But what gives Lexington any special advantage over any other city in pursuing clean tech (Especially when every other city is pursing such a “hot” industry)? These kinds of questions arise with most of the Angelou recommendations. What would a marketing plan for Lexington look like? What would it build upon? 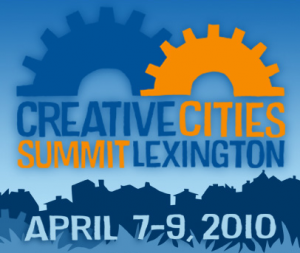 What – specifically – would give Lexington the ability to create a best-in-class workforce? The two teams – made up of leaders from across the city – developed recommendations for how the mayor should approach economic development in Lexington. And the transition teams recommended many of the same actions that Angelou did. The difference? The ideas contained in these reports are far more actionable than the ones we received from Angelou. They are far more interesting. They are far more relevant. They are far more tailored to Lexington’s specific challenges and opportunities. Like Angelou, the transition teams recommended enhancing support for entrepreneurs. But the transition teams went further, and offered much more specific examples. These included: Having the mayor visit 5 entrepreneurial events each year (along with a list of suggested events); Having the mayor organize an annual innovation conference, along with specific suggestions on structure and format; and, having the mayor’s office produce “The Lexington Entrepreneur’s Guide” online and in print. The transition teams’ suggestions for a marketing plan for Lexington included specific, actionable ideas on who to include and how to approach marketing our city. We could get testimonials from Jess Jackson (of Kendall Jackson Wineries) or Elizabeth Arden (Note the Streetsweeper’s comment below), who happen to own horse farms here. 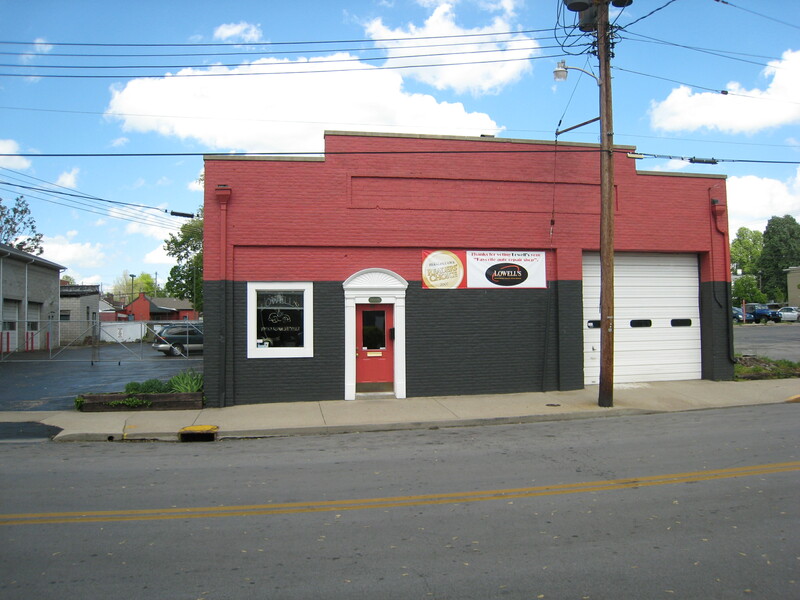 The transition reports recommended building databases of local resources which could be called upon when recruiting new businesses to Lexington. The transition teams also offered suggestions on how to better utilize downtown, our horse farms, and the Distillery District. 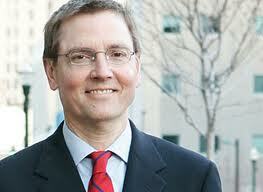 They offered specific ideas on building upon our health and educational systems. And unlike Angelou, the recommendations contained in the transition team reports are much more tailored to Lexington, and – as a result – the recommendations are much more actionable. They form the foundations of a real economic development plan for our city. Somehow, about 25 volunteers – in the span of a few meetings across a few weeks – leveraged their knowledge and experience to produce some innovative ways for Lexington to pursue economic development. And the final product is more valuable than the report the consultant provided. And it didn’t cost $150,000. There are a lot of great ideas in these transition team reports. That said, those ideas don’t yet form a cohesive economic development plan. That work remains to be done. Given how productive the transition teams were in such a short time, why not let leaders from throughout the community develop the strategy for Lexington’s economic development? Why not let them recommend the structure, the direction, and the financing of Lexington’s economic development efforts? All it took to create these transition reports was leadership from our mayor. Likewise, our mayor should initiate the process of building an economic development strategy for Lexington, created by us. We should use the Angelou fiasco not only to penalize Angelou for doing poor consulting work, but also to learn how to do our own economic development better. Last night, Congress passed the $900 billion tax compromise reached between President Obama and Republican leaders. In the end, progressives and conservatives alike lambasted the deal. And that might be a very good thing. I’m no fan of the bonus tax cuts for the wealthy that Obama conceded to congressional Republicans; Despite Republican claims, those cuts fail to create significant job growth. 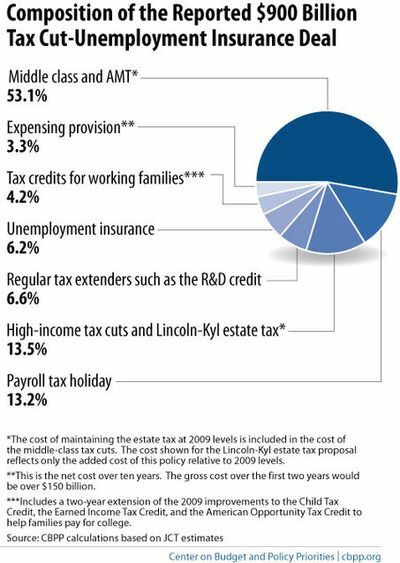 Unproductive and unneeded tax cuts for the wealthy make up only one-eighth of the compromise. The other seven-eighths of the deal are much more stimulative to our economy and to job production. In essence, this tax deal is a second “stimulus” which is much-needed at this stage of our fragile economic recovery. During the Constitutional Convention in Philadelphia in 1787, representatives of each state teetered on the knife’s edge between walking away from the proposed Constitution for what they might have to give up, and giving up important principles (and power) in order to gain something better, stronger, and more resilient. In these sentiments, Sir, I agree to this Constitution with all its faults, if they are such; because I think a general Government necessary for us, and there is no form of Government but what may be a blessing to the people if well administered, and believe farther that this is likely to be well administered for a course of years, and can only end in Despotism, as other forms have done before it, when the people shall become so corrupted as to need despotic Government, being incapable of any other. I doubt too whether any other Convention we can obtain, may be able to make a better Constitution. For when you assemble a number of men to have the advantage of their joint wisdom, you inevitably assemble with those men, all their prejudices, their passions, their errors of opinion, their local interests, and their selfish views. From such an assembly can a perfect production be expected? It therefore astonishes me, Sir, to find this system approaching so near to perfection as it does; and I think it will astonish our enemies, who are waiting with confidence to hear that our councils are confounded like those of the Builders of Babel; and that our States are on the point of separation, only to meet hereafter for the purpose of cutting one another’s throats. Thus I consent, Sir, to this Constitution because I expect no better, and because I am not sure, that it is not the best. The opinions I have had of its errors, I sacrifice to the public good. I have never whispered a syllable of them abroad. Within these walls they were born, and here they shall die. (…) I hope therefore that for our own sakes as a part of the people, and for the sake of posterity, we shall act heartily and unanimously in recommending this Constitution (if approved by Congress & confirmed by the Conventions) wherever our influence may extend, and turn our future thoughts & endeavors to the means of having it well administered. Progressives hate what was conceded in this deal. So do conservatives. And everyone should be concerned over how much this deal grows our national debt. Both sides wanted their leaders to stick to core principles – no matter the cost. But that’s demogoguery, not democracy. It isn’t how our country works. It isn’t how our country was formed. “Compromise” has become a foul word in this political season. But it is the very heart of a functioning democracy. In late July, one of our technicians left our award-winning auto repair shop to return to his hometown. He has been our only employee to leave since I bought the business over two years ago. His departure raised a question for us that a lot of small businesses have faced in this economy: Do we accept the risks of hiring a new employee to replace him? The answer, I think, is instructive for many of the economic and political issues facing our country. Impatient voters punished Democrats two weeks ago for not giving enough focus to our nation’s sputtering economy after the near-implosion of 2008. With our nation’s unemployment rate hovering just under 10% (and ‘real’ unemployment much higher), voters sent a clear signal that they want government to focus on creating jobs and growth. According to the Small Business Administration [PDF Link], small businesses like ours make up 99.7% of employer firms, and account for two-thirds of new job creation. Both Republicans and Democrats have reiterated the importance of getting small businesses hiring to get our country’s economy moving again. This week, congress reassembles in the wake of the elections to consider extending temporary tax cuts implemented under the Bush administration in 2001 and 2003. 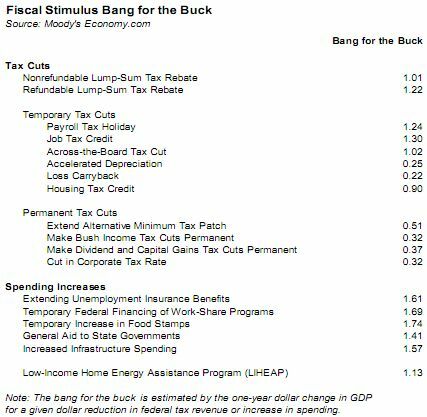 Republicans want to extend the entirety of the Bush tax cuts, which would add $5 trillion to the national deficit over the next ten years, and vastly expanded the national debt over the past decade. Democrats want to extend the tax cuts as well, but would let them expire for the highest-income households which make over $250,000 per year. The Democratic plan would cost almost $700 billion less than the Republican plan over the next ten years. Republican leaders claim that giving tax breaks to top earners is critical to generating the new jobs that the economy needs to recover. Just how would the Republican proposal affect small business jobs? A hypothetical example from my industry might help us get to an answer. A very healthy auto shop might have annual sales of $1,000,000 – an amount which would put it well into the top 5% of shops nationwide. If that shop is exceptionally well-run, it might see net profits of 30%, or $300,000. For those few shop owners in such a fortunate situation, what are the implications of extending the Bush tax cuts for those making more than $250,000? Under the Republican plan, that shop owner would save an incremental $1,500 in taxes over the Democratic tax cut plan. As a small business owner, I’d happily take the $1,500. But such a small amount would give me zero incentive to undertake the much greater expense – and risk – of hiring a new employee. So while extending the Bush tax cuts would certainly line my pockets, they would do little to encourage me to create jobs in my small business. Some observers might contend, as incoming House Budget Committee Chairman Paul Ryan did on CNBC yesterday, that most job growth comes from larger “small” businesses and that my example above isn’t really that relevant to job creation. So let’s pretend, for a moment, that our hypothetical business is actually 10 times as large as the example above: It has annual sales of $10,000,000, and its owners see profits of $3,000,000 per year. Under the Republican plan, that business owner would save an additional $125,000 in taxes over the Democratic tax cut plan. Now, this seems like an amount which might let a business hire a couple of additional employees. But while the tax savings might be enough to hire additional employees, it provides little actual incentive to use that newfound money to hire in an uncertain economic environment. A tax windfall fails to meet a prudent business owner’s criteria for making a hiring decision. Business owners don’t hire because we have extra money laying around. We don’t hire out of charity. We hire when there is more work to do. Again, I’d happily take the $125,000. But I’d also know that a drop of just 1% in my sales – a fairly likely risk in our current economy – would wipe out my tax savings. If I were that business owner, I’d stash my cash as a hedge against an uncertain economy. Net effect: no new jobs created. The criteria for hiring is scalable: Whether a business has $1 million, $10 million, or $100 million in sales, the decision to hire is based on needing employees to meet demand – not on having spare cash supplied by tax cuts. In my shop, the economic slowdown – coupled with a nearby street closing for almost a year – contributed to a sales decline of over fifteen percent from our record 2008 levels. The declines would have been worse if not for our solid reputation, our increased community involvement, and our vigorous marketing. In fact, our business has more customers than ever before; It’s just that each one is investing far less in their cars. We see a lot more folks putting off needed maintenance and hoping that their cars won’t break down. And as I look at replacing the technician who left in July, this drop in sales has been my primary consideration. An extra $1,500 from tax cuts wouldn’t induce me to hire a new technician. Neither, frankly, would an extra $125,000. I’ll hire when our core business is better – when there is more work to do – and not just when I have a convenient pile of cash. And to make our business better, we need more customers with more money – and more willingness to spend. To encourage small business hiring, policymakers need to encourage spending. In particular, they need to encourage the kind of spending which reverberates through the economy as that money is spent and respent in the form of wages, further buying, more wages, and – ultimately – hiring. This respending feedback loop is key to creating enough demand that businesses like mine will start to hire again. It is key to driving our nation’s self-sustained economic growth. The fatal flaw of tax cuts for the wealthy is that the cuts don’t foster respending at a scale which drives significant hiring. As seen in my examples above, a large chunk of each dollar given out in tax cuts to the wealthy is stowed away in savings – thereby stunting the benefits to the economy. Mark Zandi, Moody’s Chief Economist, has found the same phenomenon in his research (Full PDF Here). Tax cuts to the rich don’t yield as much overall economic benefit because the wealthy don’t need to (and won’t) spend that money, thus diminishing the virtuous feedback loop. Government spending which goes to those in need – the poor, the unemployed, state governments – does get respent (often out of necessity) and the feedback loop is much, much stronger than with tax cuts. If I’m looking at my bank account, the tax cuts seem like a fantastic idea. More money for me! But if I’m looking at my business, my employees, their families, and my community – I want the government to focus on assisting those in need. I want the government to encourage buying (especially from small, local businesses). That’s what will help my business for the long term. That’s what will – ultimately – encourage me to hire. Lose the tax cuts. Give me customers instead. We’ve long been critical of the economics of the proposed CentrePointe development just a few blocks away in downtown Lexington. One of the least understood portions of the project is the element known as Tax Increment Financing, or TIF. In essence, TIF allows cities and states to allocate future incremental tax revenues to finance today’s public improvements related to new economic development initiatives. The recent changes to the CentrePointe project invite a reassessment of the CentrePointe TIF program. CentrePointe’s TIF program would use future new tax revenues from the CentrePointe development to fund about $50 million in projects around CentrePointe. Providing new infrastructure including storm sewers, sidewalks, and – according to the most recent renderings – a pedway which seems to cross Upper Street to (?!) McCarthy’s Irish Pub. The state and city would issue some $50 million in 30-year bonds (i.e., public debt) to fund the initiatives. Over the course of the next 30 years, our governments would pay out some $100 million in principal and interest to the investors in the CentrePointe TIF bonds. The state would cover three-quarters of the total payments (about $72 million), and Lexington would cover the rest. Then, the state and city would hope to use new taxes generated from CentrePointe over the next 30 years to offset the $100 million spent paying bondholders. But is this a good investment of taxpayer dollars? To get an informed answer, we need to dive deep into the business fundamentals of the CentrePointe TIF project. The valuation methodologies used by the state and city are fundamentally flawed, and are not the standard for evaluating a long-term investment. CentrePointe will not generate the promised revenues, due to incredibly optimistic business model assumptions. Let’s look at each of these concerns in succession. An Economic Research Associates (ERA) report [PDF Link] done last summer for the state’s Cabinet for Economic Development, which expected nearly $70 million in tax revenues from CentrePointe for the state alone. Of the two, ERA’s assessment is the more recent, more complete, and – in our judgment – more reliable. It is also the one which the state used to approve the CentrePointe TIF. But, as mentioned above, there are deep flaws in how both of these reports valued the public benefits stemming from CentrePointe. Businesses make investment decisions all the time: products, facilities, acquisitions, marketing, and so on. When businesses evaluate an investment project, they look at how much they put in up front (‘the investment’) versus how much they can get out over time (‘the return’). But when looking out into the future, most businesses lower the value of future earnings. In other words, the promise of $1 million next year isn’t worth as much as $1 million in-hand today. A lot of things can happen in the course of a year – inflation, disasters, competition, market shifts. And $1 million two years from now is worth even less, because there is even more risk of something happening. Typically, stable and established businesses use an annual rate of around 10% to ‘discount’ future earnings. For example, if an investment generates a return of $1 million today, that is valued at $1 million. Simple enough. But if it promises another $1 million next year, that is worth just $900,000 to us today (i.e., 10% off of $1 million). The promise of $1 million two years from now is worth just $810,000 today, and earnings further in the future are given even steeper cuts in their valuations. So the promise of $1 million 30 years from now is worth just $42,000. This ‘discounted cash flow’ method is the same standard that Warren Buffett and other investors use to evaluate how much to pay for an investment, and it is the financial equivalent of ‘a bird in hand is worth two in the bush’. Depending on the kinds of risks an investment faces, the discount rate might be significantly higher. When we purchased Lowell’s, we used a 20% discount rate. Even though Lowell’s was a solid business with loyal customers, we faced a number of uncertainties. Would we lose key employees? Would customers stay away in droves? Would things fall apart? Those things didn’t happen, but they posed very real risks as we purchased a new business. With an especially speculative venture like CentrePointe, we would usually apply an annual discount rate of 20%. Or more. So what kind of discount did Morgan Keegan and ERA apply to CentrePointe’s promised future tax revenues? Instead of incorporating the risks inherent with a project like CentrePointe, these assessments valued CentrePointe as if there were no risks at all. In these scenarios, the faint promise of $1 million in 2040 from CentrePointe was just as secure as having $1 million in our wallet today. This is especially problematic, because so much of CentrePointe’s tax revenues were promised so far in the future, when a conventional valuation methodology would steeply cut their value. For instance, in Morgan Keegan’s assessment, nearly half of CentrePointe’s tax benefits – over $100 million – came between 2030 and 2040. The original report [PDF link] from Economic Research Associates (the state’s CentrePointe consultant) estimated that 30 years of tax revenues from CentrePointe would generate some $70 million for the state – while the state’s expenses for CentrePointe projects ran $72 million. So ERA projected that the state stood to lose $2 million on the CentrePointe TIF. And that estimate derived from the faulty methodology we described above. So what does the CentrePointe TIF look like when we apply standard valuation techniques? Let’s be generous, and apply the 10% annual discount rate reserved for stable investments to our analysis of CentrePointe. We’ll also use ERA’s estimated stream of future tax revenues. Using a more conventional valuation of CentrePointe’s incremental taxes, they’re only worth about $25 million to the state, and an estimated $32 million overall. In reality, the city and state would incur $50 million in public debt today for the CentrePointe TIF bonds, and only get back $32 million of that in future tax revenues. CentrePointe TIF is a poor investment which loses $18 million for taxpayers. A distinct pattern emerges in ERA’s assessment [PDF link] of the CentrePointe project for the state. At numerous points throughout the document, ERA hedges: they express skepticism about some element of the project, but then use the developer’s assertions about the project as ‘proof’ of its ultimate viability. “ERA approaches new luxury condominium projects in 2009 with a healthy degree of skepticism. […] Bank financing for new condominium construction has seized up. There is a very high degree of uncertainty in residential markets, especially high-end condominiums, across the U.S. And in recessionary times, introducing a luxury product where it has not been present before represents a considerable risk. “However, there are two reasons for optimism in the CentrePointe Tower. First, the developers have pledged an all-equity transaction. This greatly reduces the risk that loans would have to be renegotiated in the middle of a deal, that payments would be missed, or that financing would be pulled at the last minute. While it does not eliminate all risks associated with financing, an all equity transaction greatly reduces the risks and complications of development in this difficult market. Both of the reasons for optimism that ERA cites come directly from the developer’s tenuous assertions. The ‘all-equity transaction’ refers to the developer’s dead mystery financier, whom the developer had claimed was putting up cash (the ‘all-equity’ part of the transaction) to back the development. Last week, the developer admitted that he was forced to pursue more conventional financing. Using ERA’s logic, this would greatly increase the risks to the project’s success. The ‘reservations for 64 units’ refers to the handshake deals that the developer claimed for the old CentrePointe design. As we have previously documented, 64 ‘reservations’ stretches the bounds of credibility in a market which only sold 10 million-dollar properties in all of 2008. And last week, the developer trimmed the number of condominiums in the new design from 91 to 63. With both ‘reasons for optimism’ now rendered impotent, how would ERA evaluate CentrePointe’s condominiums today? How would ERA evaluate CentrePointe’s feasibility now that the ‘equity financing’ has fallen through? The developer estimated that he would spend about $250 million on the old CentrePointe design. While there are few specifics, he has used a figure of $200 million for the new design. We adjusted construction spending down by 20%. The developer assumed they could get higher occupancy levels (over 71%) even though they were charging 50% more per night than the Lexington hotel market.We adjusted hotel occupancy to market levels – a more reasonable 62%. The developer has claimed to be able to sell two-thirds of their condominiums at the outset of the project. We adjusted expectations down to about 20% at the outset, and we never expect full occupancy of the 63 condos without drastic reductions in property price. The developer assumes a $26 to $27 per square foot rate for its office, retail, and restaurant leases. We’ve adjusted those assumptions down by about 20%. Such an adjustment still leaves these CentrePointe spaces as the highest rents in the Lexington market. These adjustments to the CentrePointe business model have a number of economic ripple effects: Lower spending, lower sales, lower profits, fewer jobs created, lower quality of tenants, and lower tax revenues. Using these more realistic assumptions, our estimate is that CentrePointe will generate incremental state and local taxes worth only $21.5 million ($16 million of that would go to the state, and the remaining $5.5 million would go to Lexington). As long-time critics of the CentrePointe project, we hear a common counter-argument: that CentrePointe is a private development on private property and that we and our community leaders have no business questioning the project. CentrePointe is a private development on private property. But CentrePointe also has a number of externalities that make it of public interest. It would require significant public investment in new infrastructure and facilities to support the new development. And while TIF projects are targeted to public improvements, the reality is that about half of the $50 million publicly-financed CentrePointe TIF projects would most directly benefit CentrePointe’s developer: the parking garage, sidewalks, pedways, and other infrastructure. It is highly unlikely that the developer would go forward with the project without the public subsidy of these elements – despite his prior threats to do so. A second TIF reality is that the public bears a disproportionate part of the risk of the new development: In return for putting up $50 million of our money today, taxpayers are promised an unreliable trickle of future tax payments over the next thirty years. So despite what many of CentrePointe’s defenders – including Lexington’s mayor – say, CentrePointe’s TIF program does amount to a public subsidy of the private development of CentrePointe. And when we apply a realistic analysis, that CentrePointe TIF subsidy is a truly awful investment. In return for committing $50 million in new debt (and paying another $50 million in interest on top of that), taxpayers get a return of just $21.5 million. Local government would lose almost $7 million on its $12 million investment, while the state would lose $21 million on its $37 million investment. And despite the developer’s indignant none-of-your-damn-business attitude toward public inquiry on CentrePointe, it clearly is a public issue with public dollars at stake. The CentrePointe TIF is little more than outright welfare for the developer and his project. The CentrePointe TIF is a spectacularly bad public investment, and every attempt should be made to rescind the TIF approval. The proposed redesign of CentrePointe should be a time for community leaders to rethink the community’s investment in CentrePointe. At a time when our public budgets are under extreme duress, now is not the time to spend extravagantly on a wildly speculative private development such as CentrePointe. No responsible business would make this kind of investment. Our governments shouldn’t either. We last wrote about CentrePointe one year ago this week. In Tangled Webb, we wrote about the folly of the CentrePointe development, capping a series of posts chronicling our growing skepticism about the downtown Lexington project’s financing and viability. 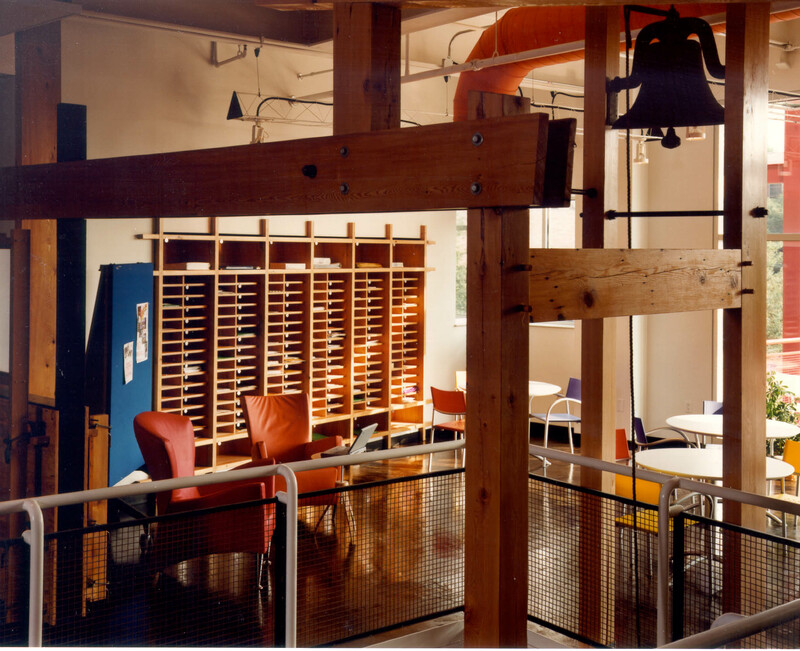 We then stopped writing about CentrePointe because there wasn’t much left to say. Four months later, Business Lexington reprinted Tangled Webb, prompting an aggressive and condescending response from CentrePointe’s developer, in which he simultaneously attacked us, bloggers in general, and Business Lexington. He asserted that we knew “little about commercial real estate development or the potential and viability of this project”. Yesterday, finally admitting that his financial backing had failed and that his initial design wasn’t viable, the developer submitted a smaller design for CentrePointe to the Courthouse Area Design Review Board (CADRB). The new tombstone-shaped design (shown at right, superimposed over the older design) is 210 feet shorter than the one that the CADRB had previously approved. The project still proposes a 237-room J.W. Marriott, along with office and retail space. The upper tiers of the project would house 63 high-end condominiums (scaled back from the originally-proposed 91). The developer asserts that “progress is being made” on “more conventional financing”. Within Lexington’s crazy-quilt of planning bodies and agencies, the CADRB is a five-person board commissioned by the Urban County Council to oversee a small portion of downtown called the Courthouse Area Design Overlay Zone. The CentrePointe site falls within this irregularly-shaped zone. 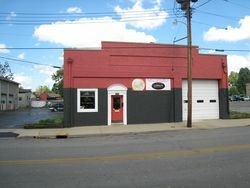 In 2008, the CADRB approved the developer’s demolition of several long-neglected-but-historic buildings on the site – including Morton’s Row, which had some of Lexington’s oldest commercial buildings. In June 2008, the CADRB approved an initial design for CentrePointe, issuing an “authorization permit” good for one year. 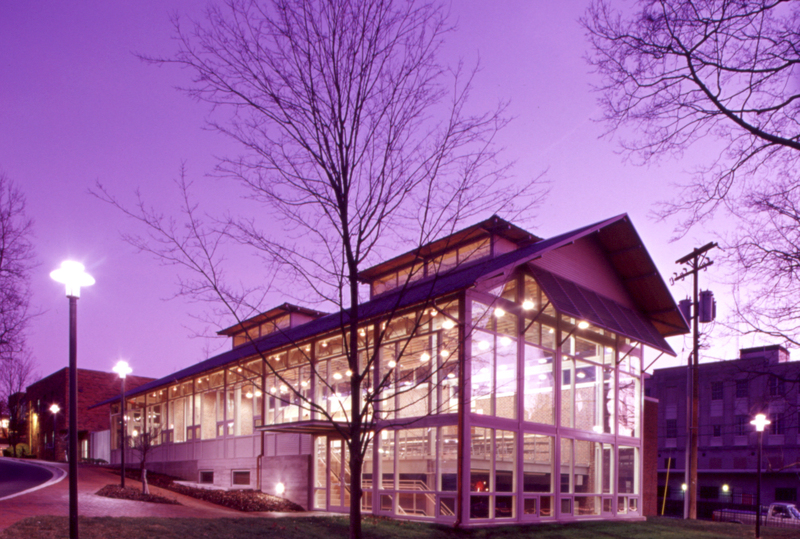 The CADRB then approved a modified design again in November 2008. On July 8th, 2009 the developers sought – and received – an early extension to their November 2008 authorization permit. That third permit expires less than 30 days from today. raise the level of community expectations for the quality of its environment. Since initial approval, the CentrePointe site has been, by turns, a pit of rubble, a dust bowl, a pond, and, now, a horseless horse pasture with huge signs heralding how CentrePointe is “Coming Soon”. By issuing demolition and construction permits for the CentrePointe site, the CADRB failed on every one of its own mandates. The development has failed to bring value to the community. It has failed to deliver the promised 900 jobs. It has failed to preserve the character and quality of Lexington’s heritage. The fantastical proposal never had the right scale or proportion for the Overlay Zone. Along every dimension, CentrePointe has been a collossal failure. In light of that multidimensional failure, now is the time for the CADRB to take corrective action. Financing: While the developer asserts that progress is being made on new funding, this is actually a step back from previous assertions that funding was already in hand. On June 4th, 2009, the developer assured the Lexington Forum that he had two ready sources of funding if his dead mystery financier’s estate didn’t come through. Yesterday’s application for extension made it clear that those sources failed as well – if they ever existed at all. Capital flows to the most promising investments, even in a difficult economic environment. The fact that the developer has yet to secure funding for CentrePointe speaks volumes about its quality as an investment. Business Model: The developer has continually asserted that he has a ready list of tenants for the property. But there are enough problems with his business model assumptions to call the viability of the entire project into question. 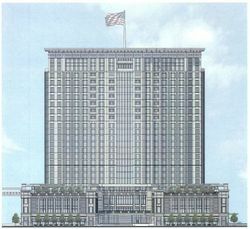 Analysts hired by the developer assumed that the J.W. Marriott hotel could achieve higher occupancy rates – at start-up – than surrounding hotels even though the Marriott would charge 50% higher room rates. While the number of million-dollar condomimiums has now been scaled back to 63, that is still far too many for the Lexington market to absorb (when only 10 million-dollar properties sold in all of Lexington in 2008). The one retail prospect that the developer has named as ‘interested’ in the project wasn’t really that interested. Vague Assurances & Broken Promises: The developer has offered many claims – but little substance – with regard to the project’s viability. He has repeatedly decommitted from previous promises. When challenged, the developer usually responds by playing either victim or bully – and, sometimes, both at once. It is time to openly challenge the developer’s overreaching claims and blithe assurances. 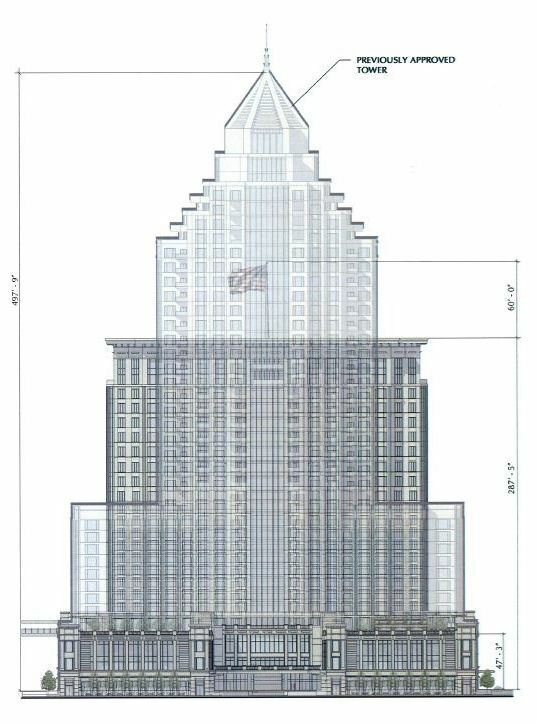 Scale: CentrePointe’s proposed tower has never had the appropriate scale for the historic character of the Overlay Zone. The CADRB’s approval of the initial designs and subsequent re-approvals were mistakes. Now is their chance to undo those mistakes. Before issuing a fourth permit, the CADRB needs to require the kinds of accountability for this iteration of CentrePointe that was missing in the project’s earlier phases. They have a responsibility to ensure that our community does not end up with – in the words of former Councilmember Don Blevins Jr. – a “vertical Lexington Mall”. Ask the tough questions. Especially the ones which weren’t answered the first time. Does the developer have financing in hand, or is he just ‘working on it’? What, exactly, happened to CentrePointe’s previously ‘rock-solid’ financing? Can the developer really build the design being considered? What is the business model for this property? Will that model really work? Is this design really consistent with the unique character of our downtown? Require documentation. Don’t accept the developer’s word at face value. His proven inability to deliver on previous promises mean that he should be required to document the stability of his financing and his business model before any design is approved. Rethink prior approvals. 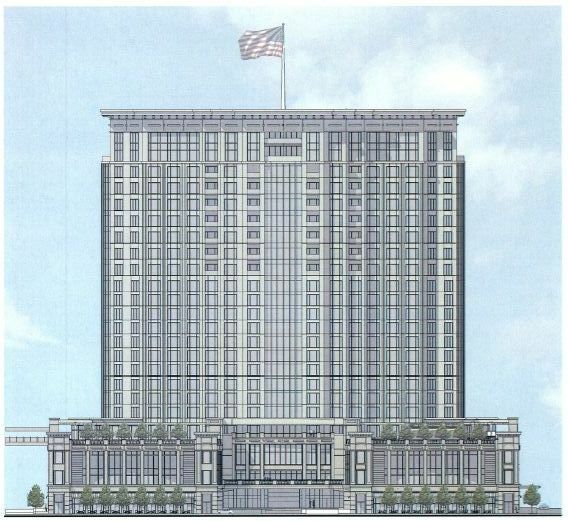 As mentioned above, the CADRB made a mistake by approving the old design of CentrePointe. Don’t just rubber-stamp the new ‘tombstone’ design. Make sure it works with the surrounding community. The Overlay Zone exists for a reason. On June 30th, The CADRB should fulfill their duty to ensure responsible economic development within the Zone which preserves the unique character of our downtown. The old design of CentrePointe didn’t do that. The new one still doesn’t. The CADRB should reject the application for extension. It is time to put a stop to the empty promises. It is time to stop enabling this kind of overreaching incompetence. It is time to end the delusional fantasy of CentrePointe.